I have written previously about White Feathers (links below) and how they have brought comfort to my wife and I when we lost our daughter, my mother and my best friend of over 30 years in a short period of time. Today I was reading about Lorna Byrne who claims to see angels on a regular basis and also says that we all have a Guardian Angel with us, regardless of whether we believe this or not. To go along with this it's interesting that - in a survey published last week - a third of Britons are convinced they have a Guardian Angel who watches over them. "As the angel walked towards me he opened up his enormous wings and moved them gently. I could see each individual feather, some huge, some tiny - all white with a tint of gold. I knew this was the comforting Bird Angel I had last seen shortly before my husband Joe's death a few months earlier. I knew he'd come to help me ." She gives a further description of this particular Bird Angel, "Tall and elegant, he had a human appearance. He was radiant, his face gold in colour and his eyes gleamed with a pearly light ... He was surrounded by golden birds in flight and on the ground all around him were all kinds of other smaller birds - crows, jackdaws, robins, sparrows and finches." I have to admit that I have never seen an angel but sometimes, almost out of instinct, I do say 'thank you' to something that seems to be looking down on me when things have turned out well. I always imagine this as a smiling face. In Lorna's case she describes how her husband's Guardian Angel, "... moved through Joe's body and was holding his soul." I know some readers will be very sceptical about this, especially as Lorna has written a book Stairways to Heaven on the subject and says that the angels told her to write such books. But what we all believe is up to the individual. Lorna tells of how the angels helped a young man called Conor who was described as brain damaged and doctors had said he would remain this way for the rest of his life. Lorna spoke to Conor and then saw six healing angels surround him. To cut a longish story short, a year later Conor was still in a wheelchair but was now able to move his arms and his head. When Lorna last saw him, "He was walking down the street, laughing, hand in hand with a girl." All I can say for certain myself is that I do see meaningful white feathers at times (and also black ones as a warning) and I do feel that sometimes it's as if someone is looking after me. This could be imagination, a prop to hang on to or whatever. But, at times, it's necessary to believe in things that don't at first seem possible - they may well just be true. I don't think we should ever write off the impossible. Lorna Byrne's book Stairways to Heaven is also available from Amazon UK. I've never seen an angel either, or an atom, but I believe in the possibility of both. History shows many radical concepts, like gravity, shook the foundations of the beliefs of the times. Other discoveries, like harnessing electricity, changed the lifestyle of humanity. I personally believe in the guardian angel concept because I also believe in the energy of a human soul as being eternal. So it's a logical choice for me to believe that since my soul is eternal I'd make sure there was a guardian around for my human experience. The primary point of this post is wonderful, Mike. There is comfort in what we believe, even if we don't see it. I'll never have access to a microscope that actually sees an atom even though I believe they are the primary building blocks of life. But even my eyes can see a white feather in on my path. It is my choice to believe that white feather I can see is part of the building blocks of belief that angels have always been, just like atoms. Angels may be steps on our stairways to heaven, just like atoms are part of the stairway within our DNA. I like to believe we've woven angelic energy within our own biology. White feathers can be reminder triggers of a greater energy. White feathers are soft, beautiful, and pristine. Great post, Mike, and what an insightful comment, Terri. If we stop believing in what seems to be impossible, then where's the magic in life? Oh Mike, that was such a good post. It brought a lump to my throat for some reason. 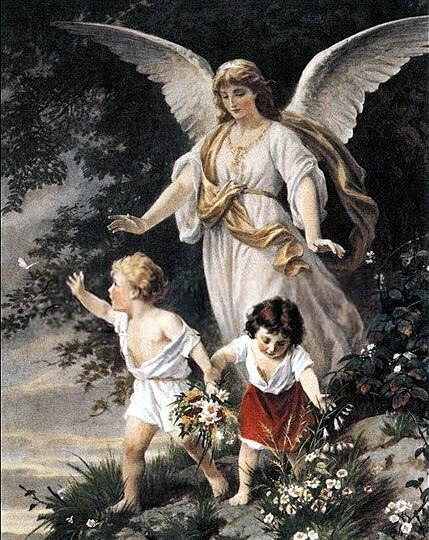 I love the idea of a Guardian Angel looking after us but why do so many of us still run into such difficulties? I remember when my grandfather died who I was very close to. After about a week I was sitting in my flat when I could smell his tobacco as clear as anything. No one ever smokes in my flat. I'm sure it was grandad paying me a visit to say he was ok.
Also may I say what a great comment from terripatrick. Terri: Thank you - it's always interesting to read your thoughts. Like you I believe that the 'soul' is eternal. If we are made 'in God's image' then we cannot be destroyed. "Angels may be steps on our stairways to heaven" - like that. 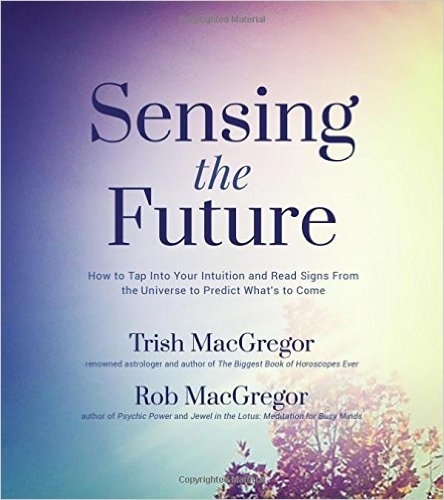 Trish & Rob: So right, we mustn't miss out on the magic of life and it's possibilities. Suzie: I'm sure your grandad is with you - so be careful what you do! I think whatever you believe in, is your experience. We create our reality through our thoughts. I also believe we are surrounded by "angels" or whatever you want to call those there to help us in good times and bad. I try to stay grateful for all of the experiences I have had - but I've not had great loss in many years - for that I am very grateful. I've seen portions of angels, i.e. partials of flowing gowns in pastel colours, the lower part of white wings; and some third eye visuals of flying angels coming toward me. They look a bit like condors in the distance until they get up close and land. Sometimes angels will be in my apartment and will have a soft scent almost like Johnson's Baby Powder. It's very reassuring if I've been upsept by something. They will come to heal or comfort if you ask. I think I must have someone watching over me at times--have had some very near death misses. I try to remember to be very thankful for every small thing that happens. I saw one about 4 months after my husband died. I know I was awake, but it did seemed like a dream. I sat up and was able to see through two walls into a back bedroom. This tall, and as I read above and agree was an elegant type human, I had some sort of black hooded cloaked type robe on and floated through the walls toward me. When I saw the beaked face of a bird under the hood, almost like the ones we see from hieroglyphics pictures in Egypt, I got so scared that I hid my face, Within a second a woman's voice in my ear said "He is sorry he didn't say goodbye". Then off an on for 3 days it was just in a back corner of that back room looking down and not moving. Well nine months later my son (who's room that was) girlfriend had a baby girl. I kind of felt that the baby was a gift to us all.